Do you see the house at the top of that hill? It may not look like much of a hill, but bend over and pick up a 5 gallon bucket of water. Better yet, pick up two. One for each hand. They came for water. The woman and her children. This was her every week activity. Whenever the water truck came–she went for water. The school is located to the left–out of sight of the picture–there’s a break in the fence that you might not see–where the path curves–near where I am standing–and the water truck is parked just inside the fence. 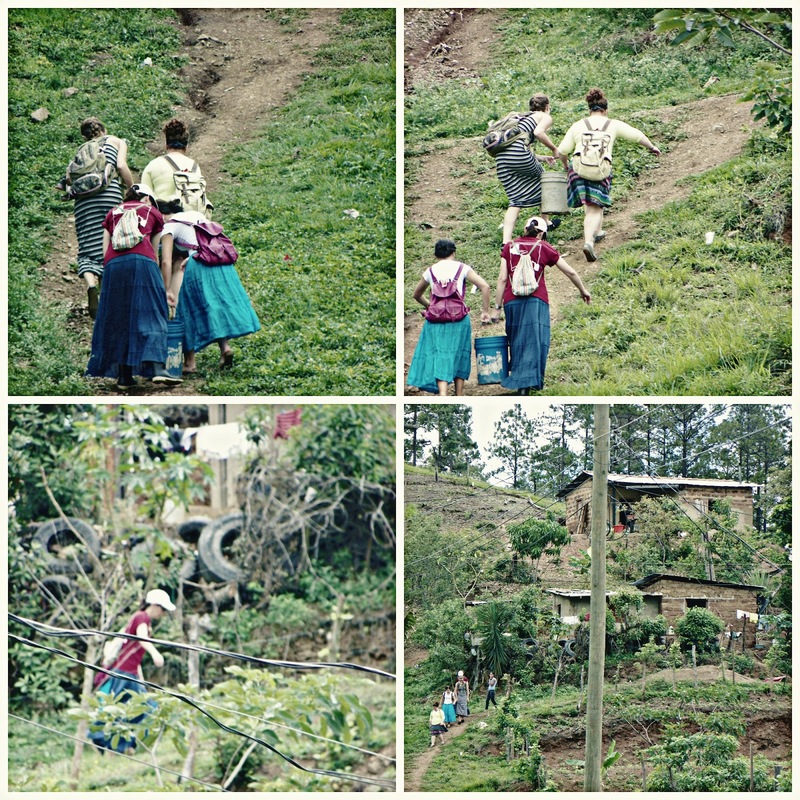 We had set out to walk–delivering beans and rice, but this one family had yet to get their water up the hill. Four of our girls decided she needed help. I was amazed. The rest of the team had finished–the kids had dismissed for lunch–and were all walking home in the misting rain. It had just slacked up from a good downpour. The rain soaked, sometimes slippery ground, made it a bit more difficult. The buckets heavy, as arms unaccustomed to such tasks strained in the journey. They stopped mid-way and switched sides. The water needed to get to the top of this hill. The woman and her family needed it for survival. LIFE. Water giving life is what they needed and that is exactly what these girls struggled to bring. No picnic. Each step they took filled with determination. There was no one standing by to help. This is what the mother of these children did on a regular basis. I cannot imagine. We have–STILL–no clue how difficult things are for them. We only participated in their lives for one week. We went back to the comforts of the dorm–and buildings that had ceiling fans and running water. Turn a knob and there it is. LIFE. How far are you and I willing to go to bring life? Savannah, Sydney, Tracey and one of the translators had no idea what that journey would require. From the bottom it looked tough–but doable. Midway up–it began to feel impossible. Hands hurting–back breaking–it became apparent that it would require every single ounce of strength they had. When the burdens were delivered–the trip back down was like a walk in the park–except for the soggy ground. They felt light–in more ways than one. They had been a part of giving LIFE to another. Water. LIFE. And through the words and actions–they brought CHRIST. That’s our mission. Bring Christ to everyone we can…Every people group. Every nation. The blisters on their hands left an impression. One they, nor us, will ever forget. Though the journey be hard….Though the path be steep….KEEP on climbing. The words from the man to me on the Temple visit came back to me again. “The view is worth it”. Not just the scenery. While that IS quite amazing–I’m talking about the “lives”…. We’ve not much time left. Gear up for the climb. It will be tough at times…but worth it when we gaze into the eyes of our Savior. It’s all for HIM…. HE climbed a hill that is Beyond ANY description…to give US LIFE. © Angie Knight- The Knightly News 2013. All rights reserved. 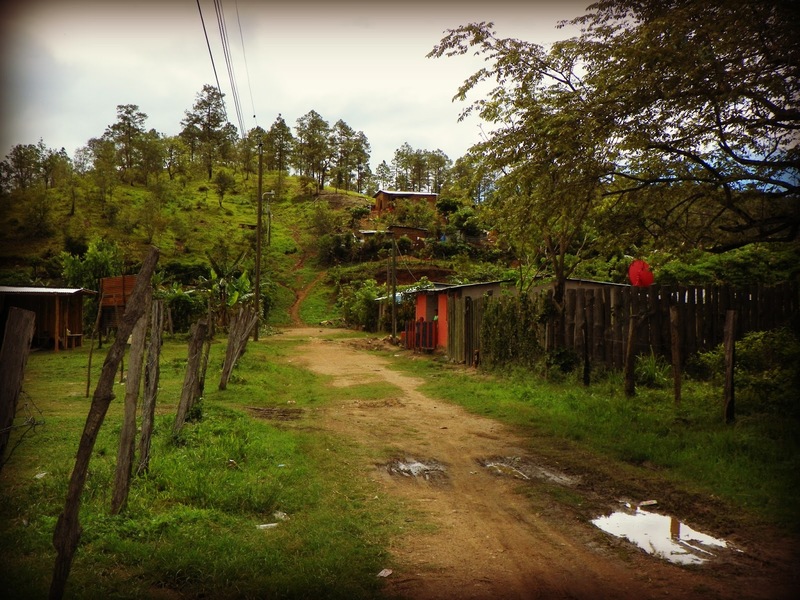 This entry was posted on Friday, July 5th, 2013 at 9:29 am	and posted in Mission Trip. You can follow any responses to this entry through the RSS 2.0 feed. amen, speak on sweet sis.